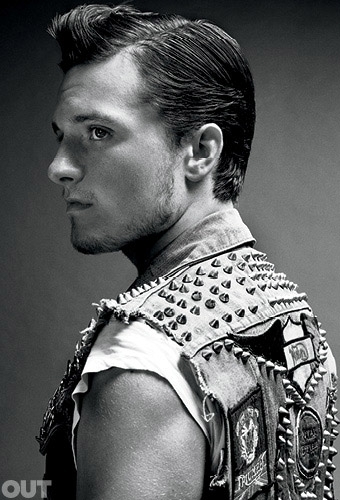 OUT magazine have posted a new interview and photos from Josh Hutcherson. 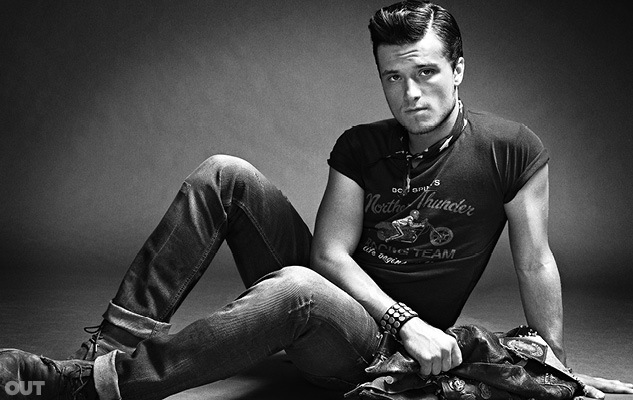 He discusses Catching Fire, and also gay rights and his charity SBNN. "Over the four-film adaptation of Suzanne Collins’s best-selling books—the first movie made almost $700 million at the box office worldwide; its sequel, Catching Fire, comes out this month—Katniss is torn between her feelings for Peeta, who helps save their lives more than once, and for her best guy friend, the tall, dark, and handsome Gale (Liam Hemsworth). All three sides of the love triangle get stuck in the midst of a massive civil war. 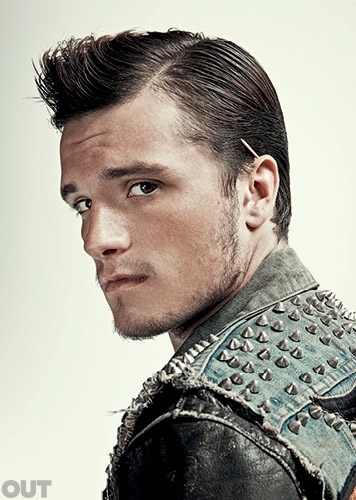 “They’re having a tough time,” Hutcherson says. 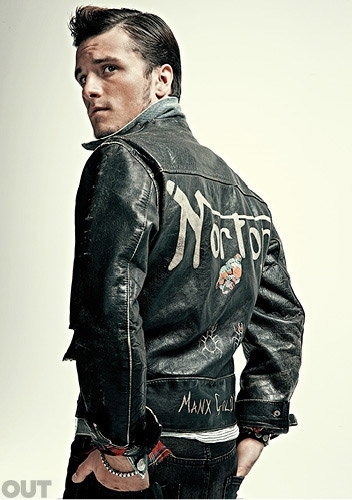 In Catching Fire, Peeta and Katniss are sent back to battle other former champions and forge a tentative alliance with the Golden God-like Finnick (Sam Claflin). Lawrence regularly deflects questions about Claflin’s hot body to Hutcherson, who confirms their bromantic bond. “You know there are just times when you meet people in your life and it clicks instantly?” he asks. “It was like that with Sam. I like people that just let me be myself, and I don’t feel like I have to try to be extra-fancy.”"